Our small team of dedicated staff work hard to ensure that the charity is having a big impact. Read more about them below and find the person you need to contact. 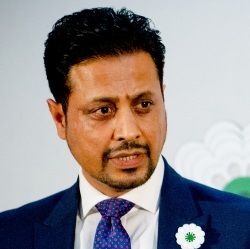 Dr Waqar Azmi OBE is the founder and chairman of Remembering Srebrenica. His work and presence is pivotal to the charity, where alongside directing operations, he works tirelessly to maintain and expand its networks of patrons, supporters, contacts, and volunteers. 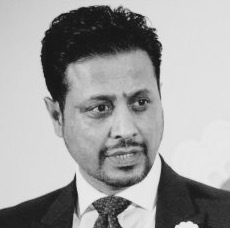 Waqar brings a wealth of experience to the charity tapping into a background as both a high-level CEO in the private sector and senior government adviser on diversity issues. 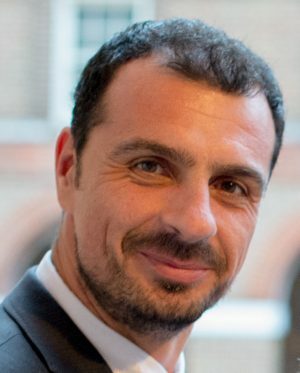 His work has been recognised nationally and internationally; he has been described as one of the world’s most influential Muslims, and was appointed as an EU Ambassador for Intercultural Dialogue. Parallel to this, he possesses a formidable understanding of the academic discourse surrounding the Srebrenica genocide. Waqar shows an unwavering passion for his work, a deep respect for those affected by the events at Srebrenica, and a desire to help shape humanity for the better. Rešad Trbonja is Remembering Srebrenica’s in-country co-ordinator. 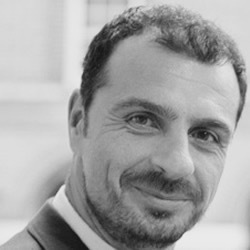 He is responsible for building and maintaining its networks of contacts in Bosnia, organising the logistics of each Lessons from Srebrenica visit, and works to promote the charity’s messages in the country. 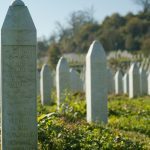 Before working for Remembering Srebrenica, Rešad worked for the UN and the EU in the field of security, law enforcement, and prosecution. The war abruptly ended Rešad’s study, but in the years following the end of the conflict, he returned to academia, and has recently finished a Masters in Criminology. Having lived all his life in Sarajevo, Rešad knows only too well the horrors of the conflict and the lasting physical and psychological damage it has wrought on his countrymen. He deeply believes in Remembering Srebrenica’s aims. Rešad is keen to both help his country address its problems and have others learn from the Srebrenica genocide’s legacy.